I was there with 19 other lucky bloggers to that party. So lets have a look at the products shall we? And yes I need you guys to calm down. Cuteness overloaded is about to happen! I want to cry. I need them all in my life! A demo on how to look good within 3 minutes. Sabby Prue was the model of the day. My favorite section! Blush blush blush!!! The brow's section! Too many products to try.. This is heaven! Your skin needs these for a perfect canvas for your makeup.. I'm so grateful and happy that I was able to played with the makeup and tried out new products. Thanks to the Benefit Cosmetics Malaysia as well as The Butterfly Project Malaysia for making this happened. 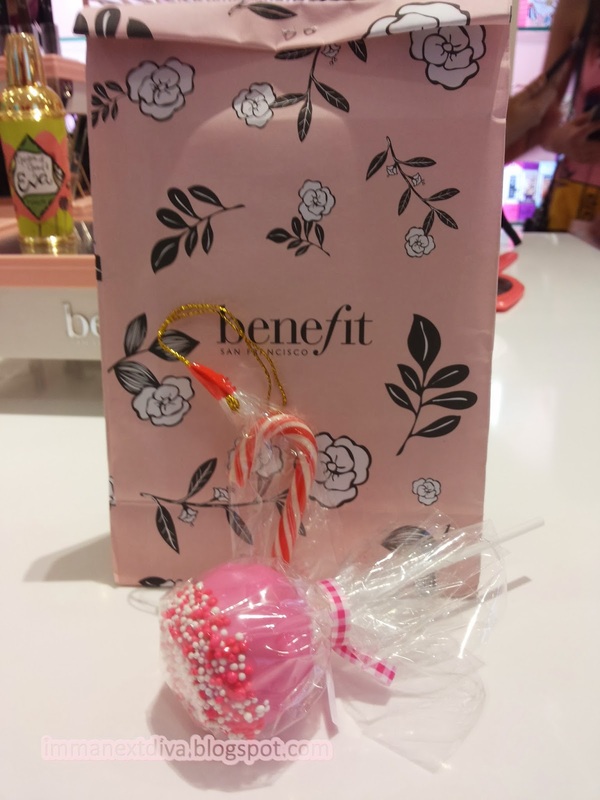 The goodie bag from Benefit Cosmetic Malaysia. Thank you Benefit Cosmetic Malaysia for this awesome party and thanks to The Butterfly Project for the invitation. Be sure to read my Part 2. I will share on how to achieved a glamorous holiday look!